"... (an) ethereal landscape painting ... it's virtually impossible to listen to the latest from composer-conductor Daníel Bjarnason and the Iceland Symphony Orchestra without losing oneself to images of misty volcanic beaches, the eternal twilight of Northern winter, the mind-boggling immensity of a pitch-black sky ... brings together five fast-rising, particularly imaginative Icelandic composers taken with explorations of texture and glacial movement. Each piece is charged with slow-churning cinematic beauty that builds from eerie stillness to climaxes that seemingly mimic the intense savagery of natural and supernatural worlds ... the drama of the music is intensely amplified by the production quality of the recording. As we've come to expect from audiophile label Sono Luminus, this is an orchestral album made for headphones: almost uncomfortably close-up clarity, string swells that move antiphonally between speakers; phrases passed across the stereo spread. It's the kind of mixing usually reserved for art rockers and IDM producers, one that brings each particle of the texturally-driven music up close for magnified inspection." 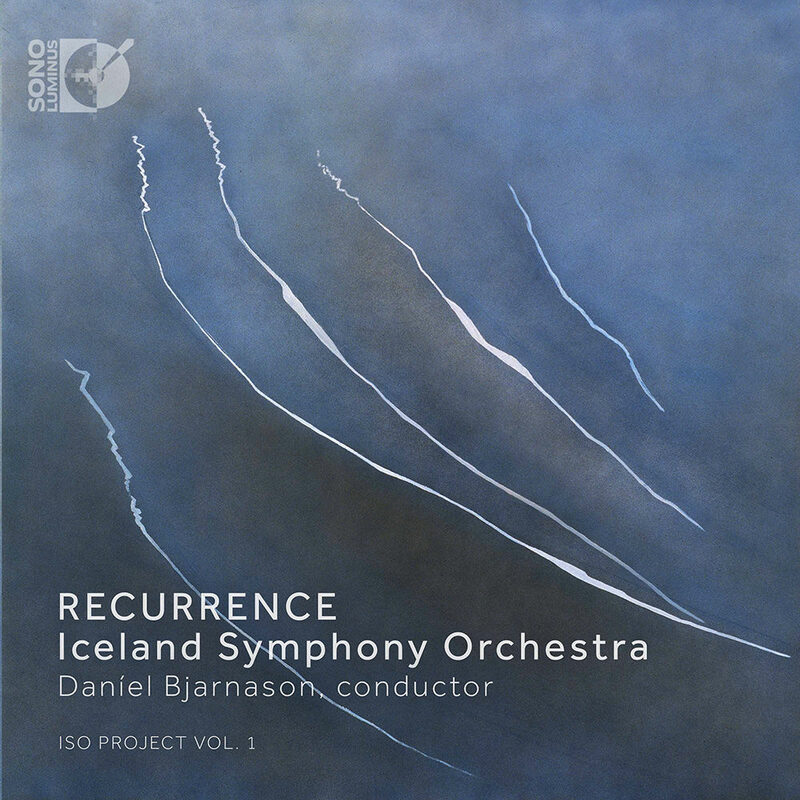 Recurrence features Daníel Bjarnason conducting the Grammy Award-nominated Iceland Symphony Orchestra on one of his own pieces along with works by his fellow Icelandic composers Thurídur Jónsdóttir, María Huld Markan, Hlynur A. Vilmarsson and Anna Thorvaldsdóttir.